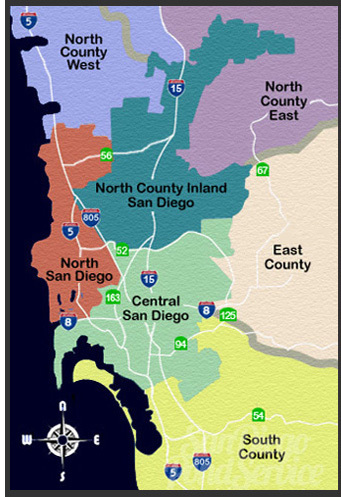 SDPS SERVICE AREAS: San Diego Pond Service keeps koi ponds looking beautiful year-round! 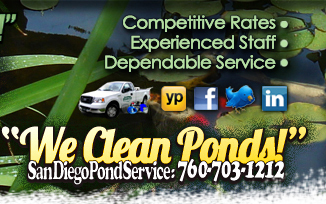 From San Diego ponds to Rancho Santa Fe ponds, North County ponds to South County ponds, we've go San Diego County pond service covered! Whether you have a 50 gallon pond, or a 100,000 gallon pond, SDPS has the equipment and experience to handle your all your pond and koi care needs. Call us today and eave the dirty work to us! "We Clean Ponds!"